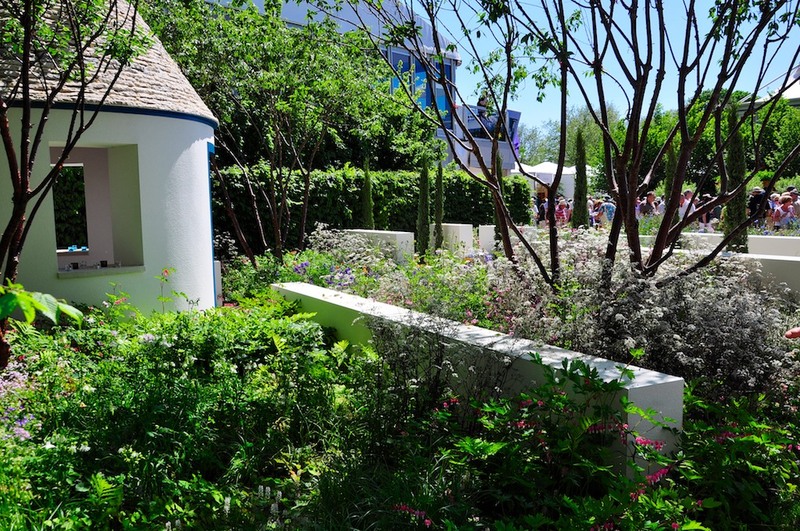 This garden, sponsored by the Royal Bank of Canada, highlighted the preciousness of water as a valuable resource. 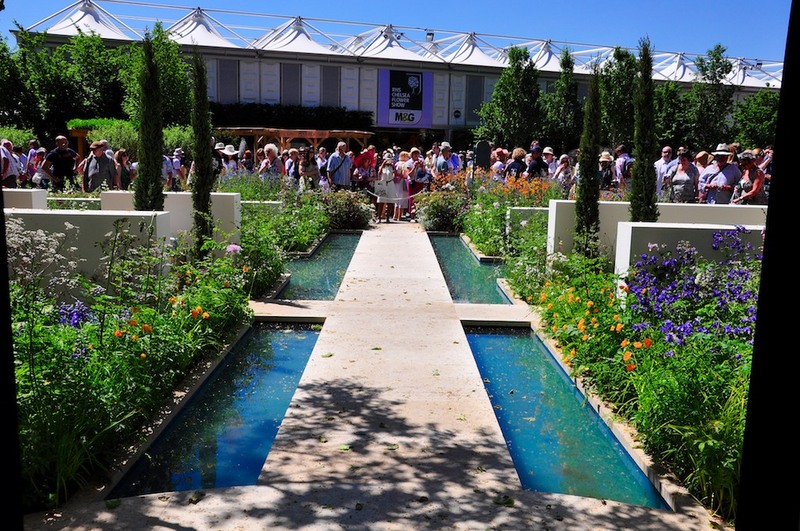 The form of the garden was based on the Paradise Garden concept, where water was celebrated in a dry and arid climate, and rich green enclosed gardens were a cool oasis in the parched surrounding landscape. 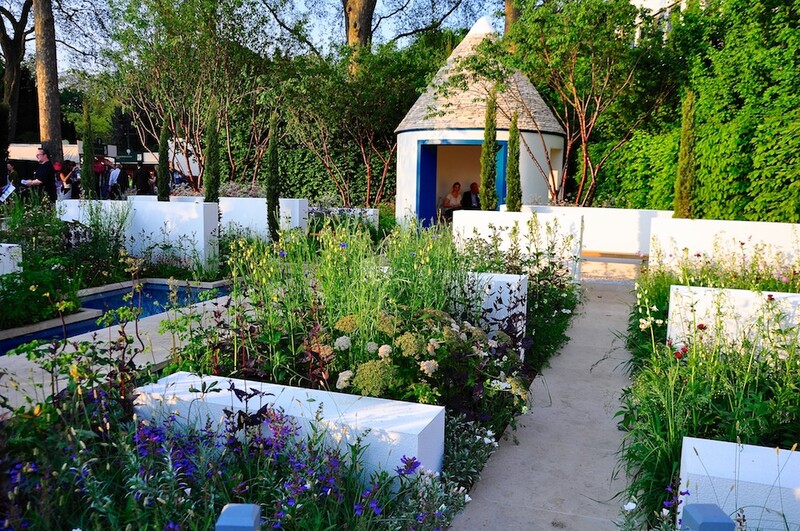 To heighten the association with aridity, the focus of the garden was a recreated Trulli building, with a stacked drystone roof. 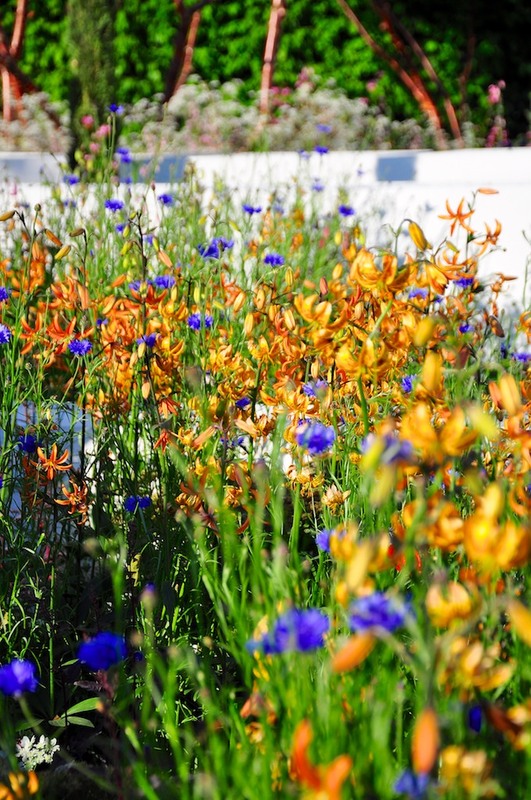 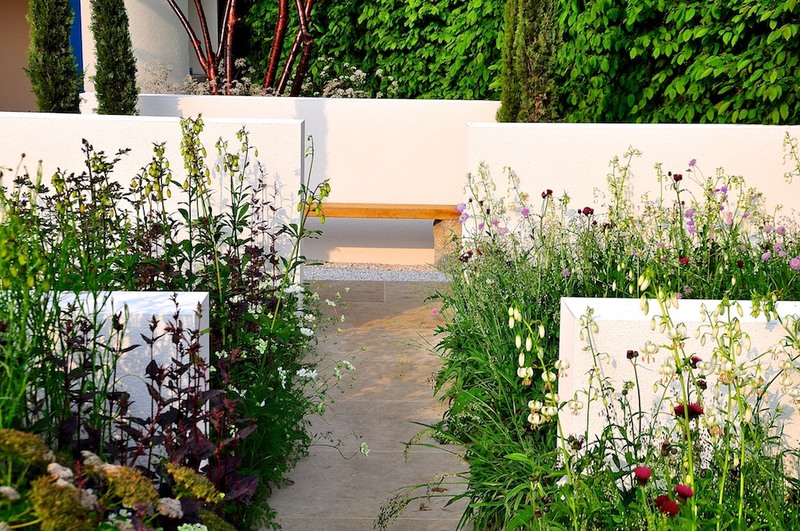 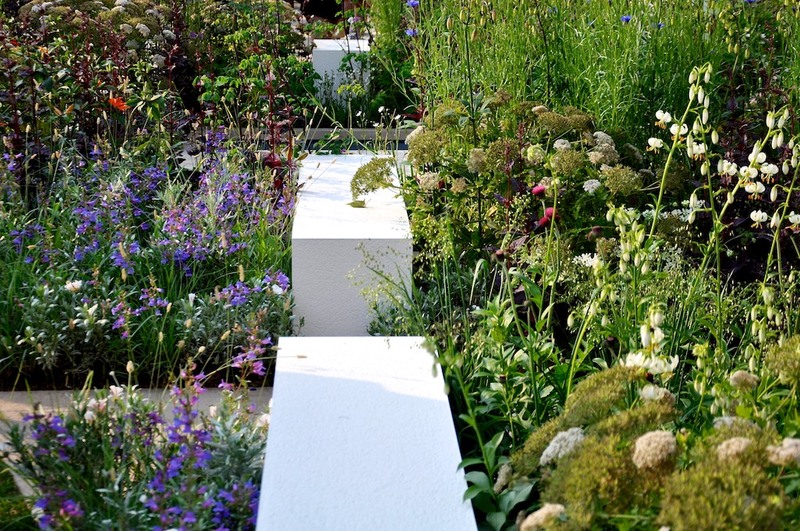 The garden was set up on a formal geometric layout, with straight paths and rendered white walls dividing the garden into separate areas, filled with distinctive planting mixes. 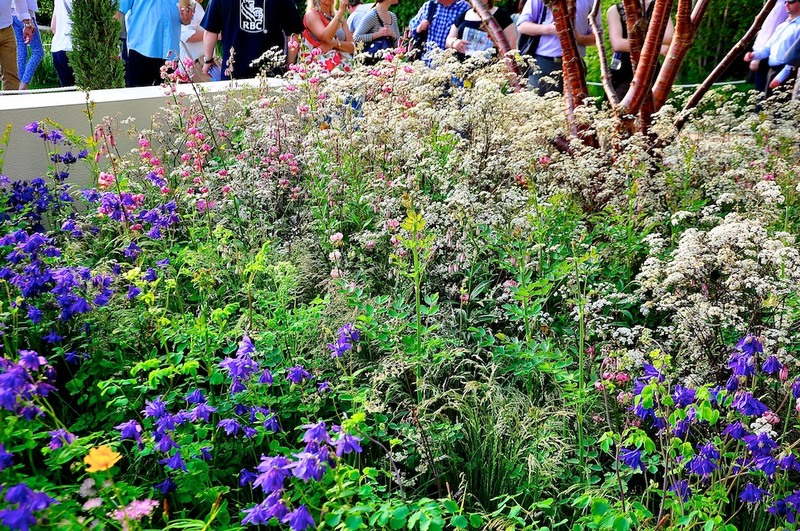 The planting in the garden was loose and natural in character, as a contrast to the formal layout.